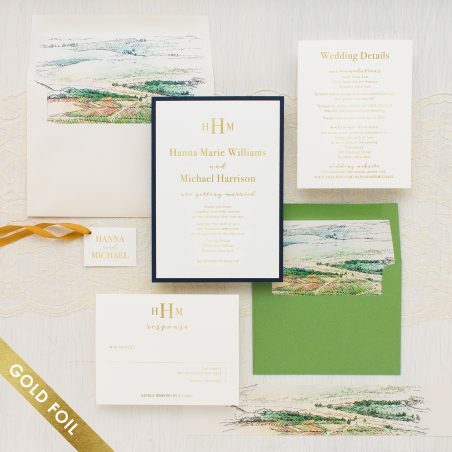 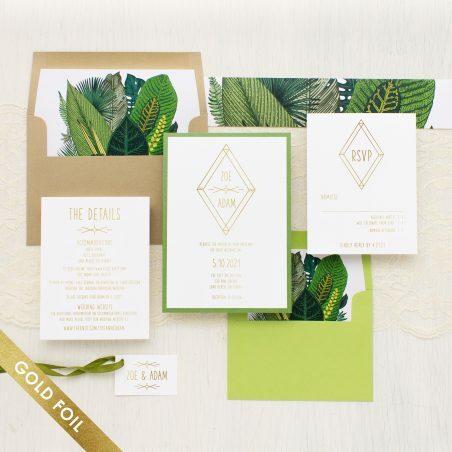 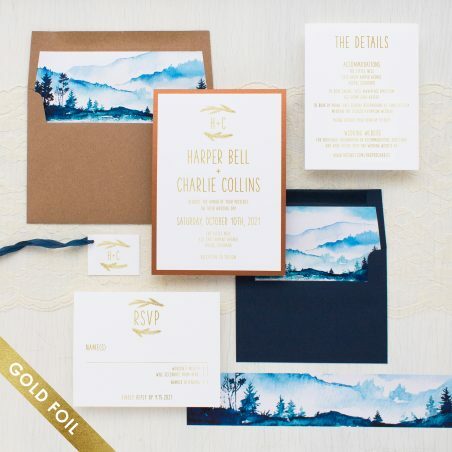 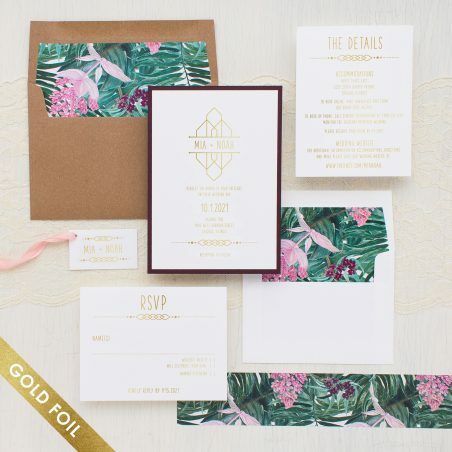 Wow your guests with our gold foil wedding invitations. 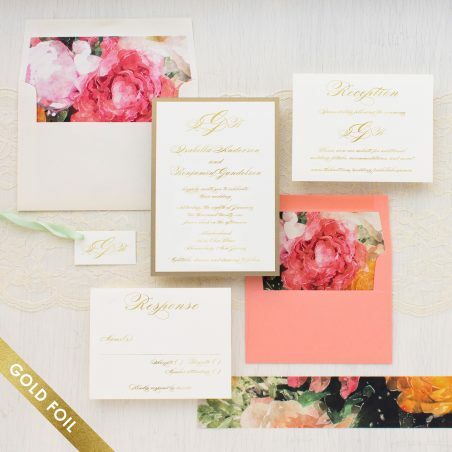 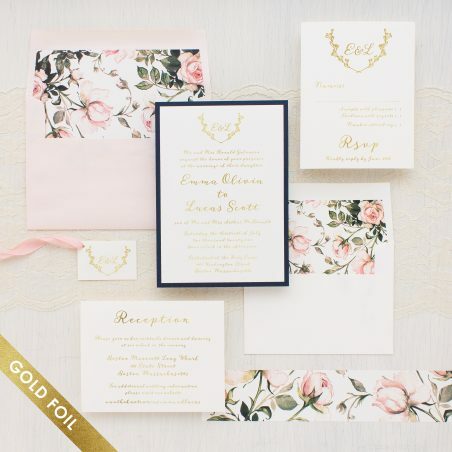 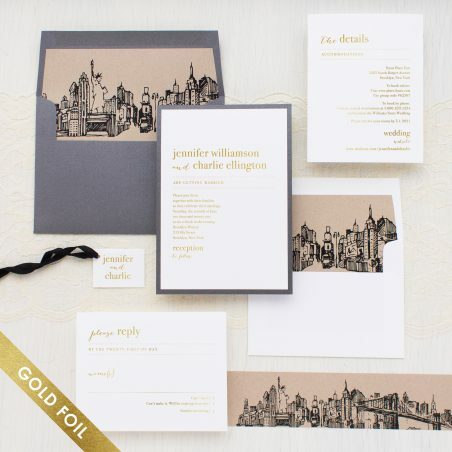 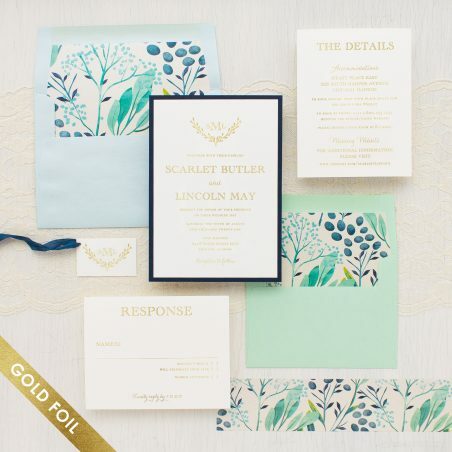 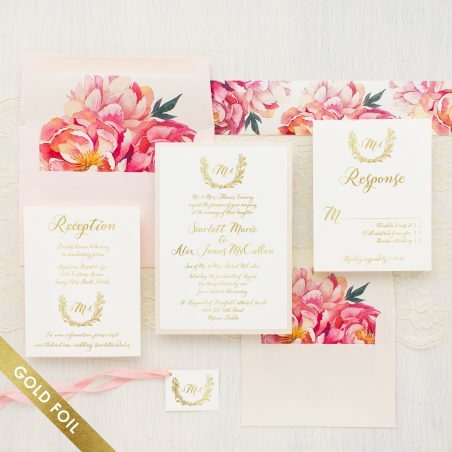 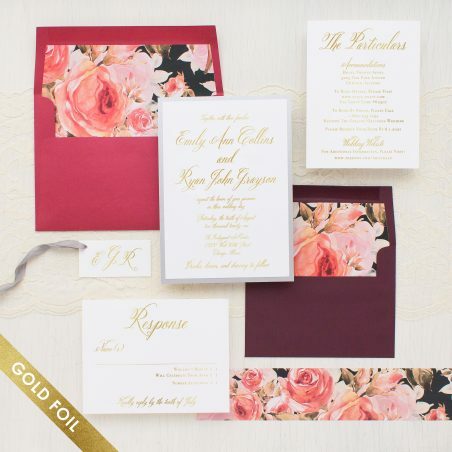 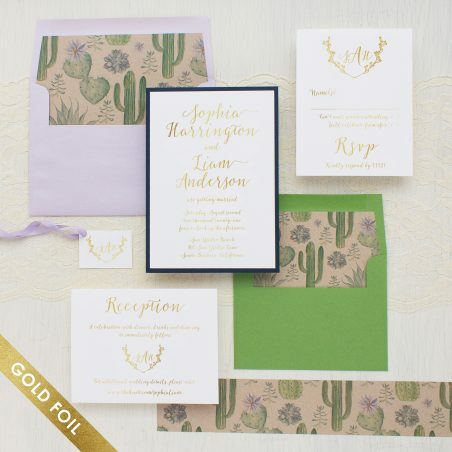 Pair gold foil printing with your favorite fonts and patterned envelope liners to create a custom look! 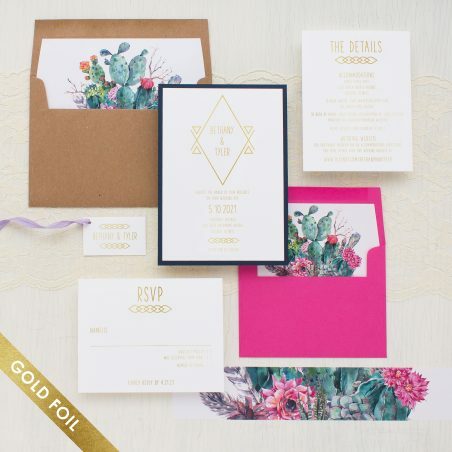 Gold foil printing is available on the main card, inserts and belly band tags. 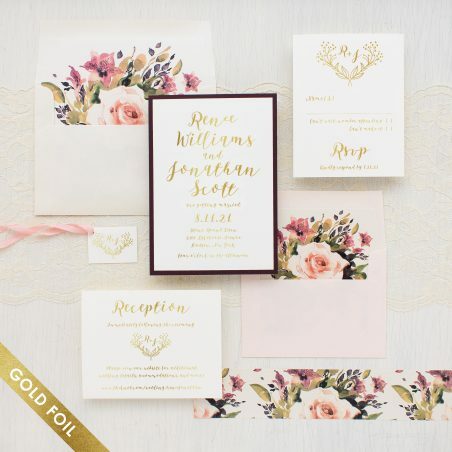 Order a gold foil sample packet to see the foil and paper types in person.